RV camping in Alaska is a bucket list item for many people. It is for me as well. 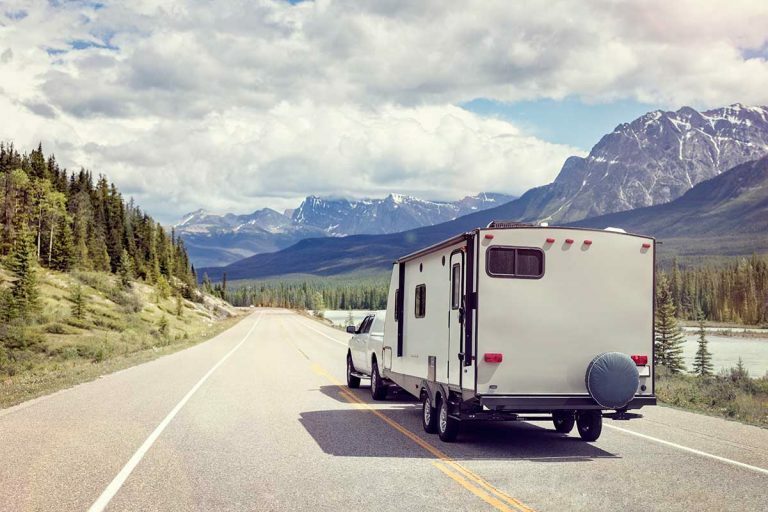 Whether you’re looking into driving to Alaska and back in your RV, or renting one while visiting the Last Frontier state, you probably have tons of questions. Having made the drive from Los Angeles to Alaska and back in the summer of 2017, and preparing to take on a similar trip in an RV in the not-to0-distant-future, I’ve been researching this topic in-depth. This post brings together my research and hands-on experience. There’s so much to cover! Grab a coffee or another beverage of your choice and let’s begin! I’ve included a list of general tips for long-term RV camping further down this post. But first, let’s focus on Alaska camping more specifically. When can you RV in Alaska? Possibly the most important thing to consider here is the weather. Clearly, Alaska gets very cold during wintertime. Most people wouldn’t dream of RV’ing in Alaska during that time. The thing to keep in mind here is that Alaskan summer is short in duration. If you’re RV camping in Denali National Park, for example, you’ll need to know that temperatures can drop under the freezing point even during June! And it can snow again even in September in higher elevations. And if you’re planning on driving your RV back home, know that during October you definitely could encounter snow on the Alaska Highway. Now, if you’re prepared for that kind of weather, that could be fine. More of an adventure. But unless yours is a four-season RV, you probably want to limit your northern exposure to mid-June until mid-September. 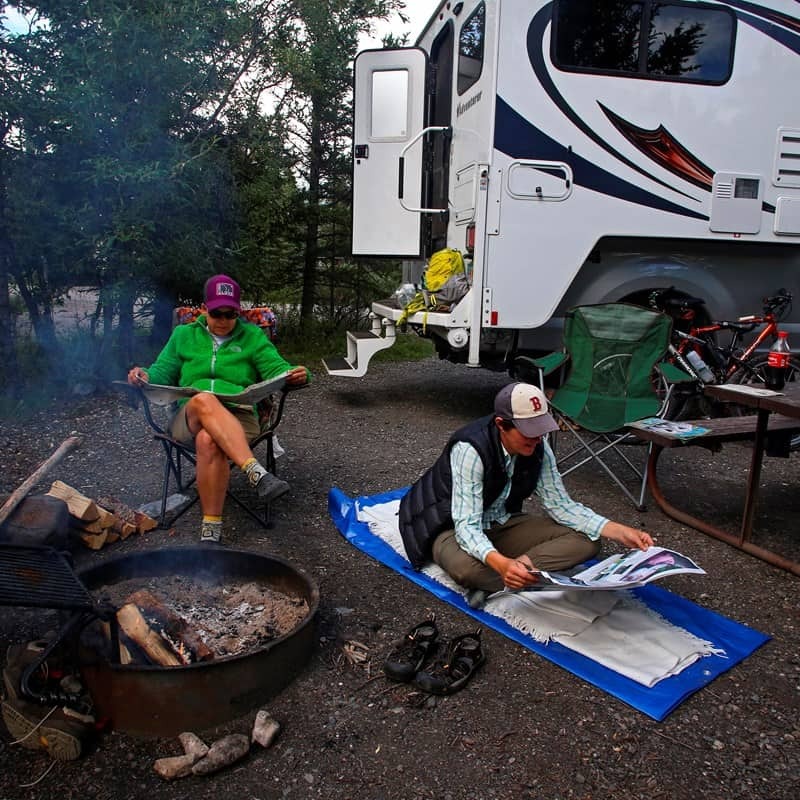 Read more about 4-season RV’s here. The roads in Alaska itself are surprisingly good. Actually, so is the road leading to Alaska, aka the Alaska Highway. Having said that, if you come early in the season, watch out for frost heaves and potholes. The extreme winter weather can really damage roads and it can take a few weeks during springtime to get everything fixed again. As long as you don’t go off the paved road, you shouldn’t have a problem though. Just watch out for moose and other wild animals crossing the road. Infrastructure, in general, is really very good. We had cell reception just about anywhere in Alaska. What should you bring along for RV camping in Alaska? The thing to remember here is that you can find pretty much anything and everything in Alaska. It’s just going to be that much expensive. Forgot a warm jacket? Out of RV toilet paper? Don’t worry – you’ll find anything you need at one of the Walmart Supercenters near Anchorage or Fairbanks. No Camping World stores but no shortage of RV stores and repair shop. And if you’re driving up to Alaska and back, you’ll find anything that you need Vancouver or Prince George in British Columbia, and again in Whitehorse in the Yukon. You will be going through patches of the road, usually 2-3 day long at a time, with only small towns or hamlets. Even then, grocery stores are there and you can count on a larger one in one of the three cities I just mentioned. Which essentially means you should pack what you would have for any long-distance road trip. RV camping in Alaska is not significantly different than RV’ing anywhere else in the US. One thing that you should get in advance is The Milepost. This is an incredibly detailed guide describing all of the routes between the Lower 48 and Alaska, as well as the main roads in Alaska itself. Super useful book – especially when you’re in the middle of the Yukon with no cell reception. For us, it was really great being able to pick up the book and see where the next rest area is, or where we can stop for the night. Highly recommended! This is a link to the 2018 edition but you can also pre-order the 2019 edition here. Boondocking means camping outside of a campground. You find somewhere pretty and nice and stay there with your RV until your water tanks are empty and your black tank is full. No hookups, generator power only. Alaska is known as one of the most boondocking-friendly states. It used to be that you could park your RV overnight virtually anywhere, as long as it’s not on private land or in someone’s way. I think this may be gradually changing. See this discussion about not allowing RV’s to park overnight in Walmart and other stores in Anchorage. Still, for now, you’re welcome to boondock on public land, as long as you’re not obstructing anyone else from using the road. Alaska has wonderful national forests where you can legally boondock at various specific spots. This page lists dispersed camping sites in the Chugach National Forest, a huge area around Anchorage with gorgeous camping spots. Your best bet is probably to check the AllStays website for Alaska RV camping. They list them all, paid and free. And with the paid ones, you get a clear breakup of the price range, so you can choose to “splurge” on a $15 a night campground. Not necessarily a bad idea if they have running water and a dumping station. In case you’re not into boondocking, you’re going to have to do a bit of research and plan ahead. Alaska has a short travel season, places tend to get full and prices go up. If you just show up with your RV in Denali National Park, you’ll discover that you have to stay in a fairly distant campground – and pay a lot to do that. 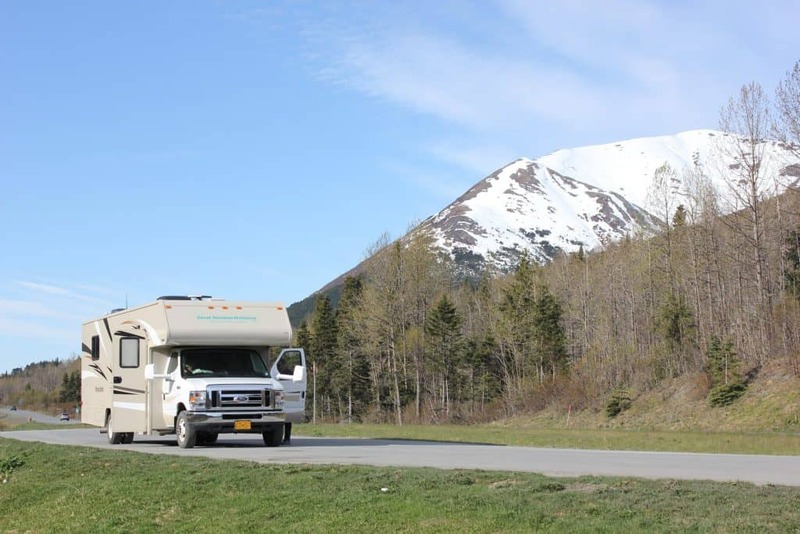 Only 37 miles away from Anchorage is a well-maintained family-run park that offers a peaceful getaway for RV travelers. The Big Bear RV Park and Campground feature a great view of the surrounding nature and a vast mountain scenery. There’s a pavilion where you can socialize and enjoy some good barbecues with everyone. A large campfire (in the pavilion) offers a nice venue for RV’ers to get together in the evenings and make new friends. Nestled between the beautiful mountains of Seward, Alaska, and just 6 miles from downtown is a full-service park where you can spend a day or two of fishing and sightseeing. Great location for visiting Kenai Fjords National Park. 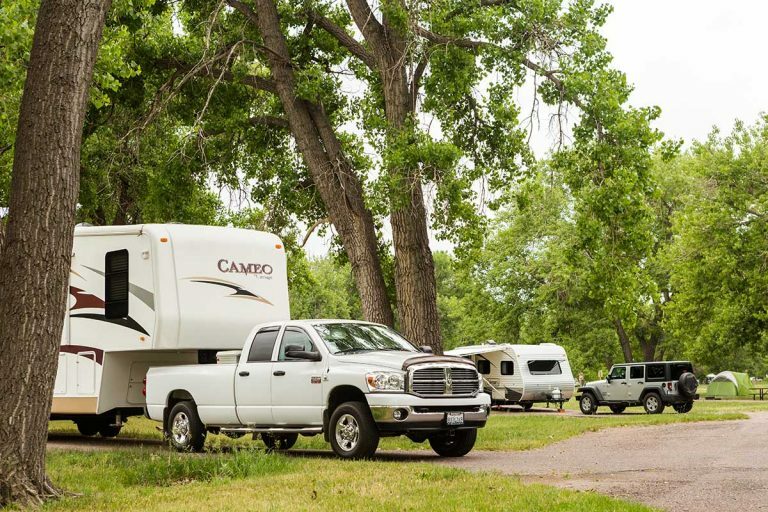 All sites are 30 feet wide, offering RV travelers ample room to park their vehicles. According to reviews, the campground is large and quite lovely. Each site has its own lawn and a picnic table. Located “where the land ends and the sea begins” is the Homer Spit Campground where you can enjoy the shores of Kachemak Bay while admiring the mountains beyond. If you’re looking for stunning ocean views and a tranquil spot, then the Homer Spit Campground makes an ideal choice. The place is also near restaurants, shops, the famous Salty Dawg Saloon, and the Homer harbor. The ONLY place in the valley with water, electricity, and dumping stations, the Portage Valley Cabins & RV Park is surrounded by the beauty of streams, mountains, and green trees. Guests can enjoy a nightly campfire where they can share a cozy, marshmallow-filled night with fellow RV travelers. You are free to use their facilities at the cookhouse where guest grills are available. A scenic valley and rustic atmosphere are just a few of the things that await you should you decide to stay there. When in the Fairbanks area, The River’s Edge Resort is yet another great place for RV travelers to feel the Alaskan hospitality. Located along the sides of the Chena River, this place also has is also a 4-star hotel which means you can enjoy a whole lot more than just your site. Valdez is a fantastic Alaska destination and one you should definitely include in your RV trip itinerary in Alaska. If you want to rest while having one of the best views in Alaska, you can try the Eagle’s Rest RV Park & Cabins. For a relaxed fishing break on the Kenai Peninsula, you can try this place. They’ll even help you with fishing servicers such as freezing your catch, vacuum packing and shipping your catch home via FedEx. Still in the Kenai Peninsula, this RV campground will put you right on the Kenai River for some great salmon runs. And you are basically at the doorstep of the Alaskan wilderness which makes everything more exciting. The Heritage RV Park makes a convenient stop for RV enthusiasts. Tourists and travelers visit the park to dine, shop, take boat tours, and experience the fishing charters near the town of Homer. Diamond M Ranch Resort is a family owned and operated campground in the Kenai Peninsula. Some people consider this one of the best RV parks in the country. Just read some reviews and you’ll see why. You can enjoy golf, horseback rides, and campfire socials to name a few. There are many other things you can do. You can also expect your stay to be stress-free with their facilities that make everything convenient – TV, WiFi, ice machine, and laundry. There’s also a general store. 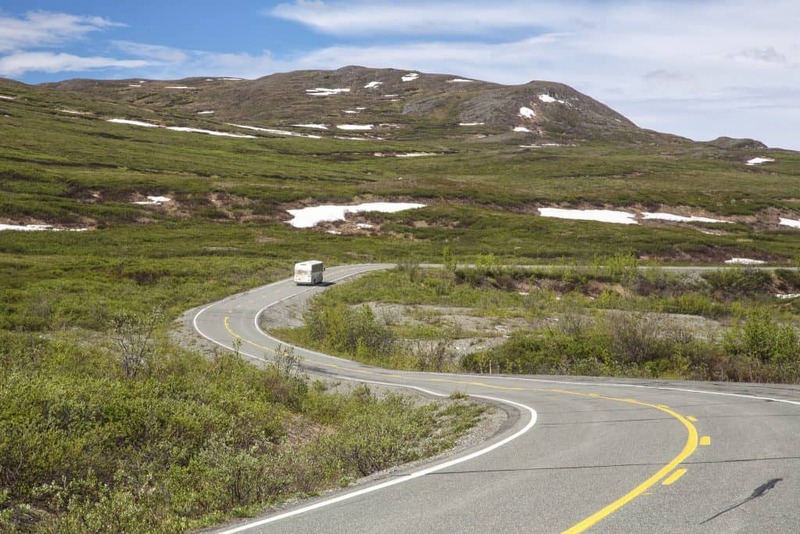 Should you drive an RV to Alaska and back or fly and rent over there? Now that we’ve talked about what’s RV camping in Alaska is like, I want to discuss the question of getting there in your RV vs. flying over and renting locally. Driving to Alaska and back is a long arduous journey. Having made that trip myself, I know it’s not that bad – it’s mostly very long, and you need to know what you’re doing. I’ve blogged about our trip on my travel blog, so if you’re interested in making the journey, I’ll refer you at this point to my detailed post on How to Survive Driving to Alaska and back (And have fun!) 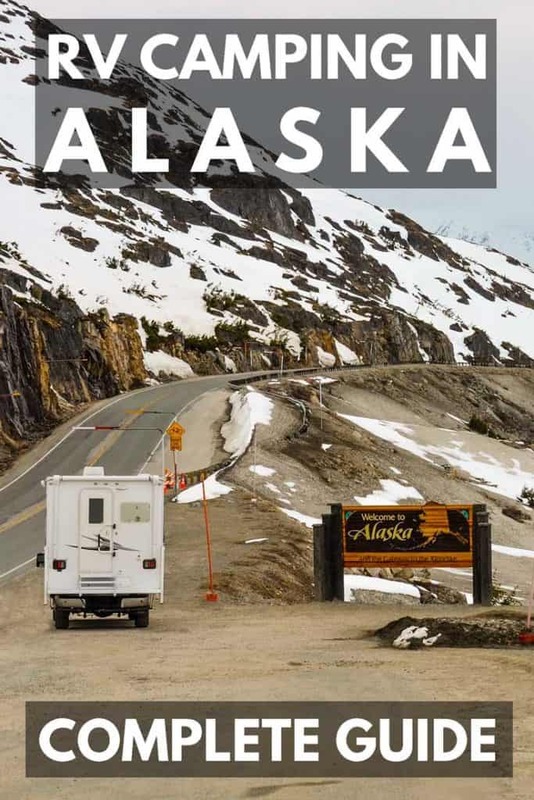 It describes the routes you can take and everything you need to know about driving the Alaska Highway and the Cassiar Highway. Focusing on RV’s here, I wanted to quickly cover the pros and cons of the two options: Driving an RV to Alaska and back vs. Flying to Alaska and renting an RV there. Actually, I’m not sure if it’s a pro or a con, but the most significant issue here is the distance. Alaska is far away and you have to at least cross Canada to get there. And trust me, Canada is BIG. Most RV’ers prefer to avoid driving for more than 4-5 hours a day at the very most. That means it would take you 2-3 weeks to reach Anchorage, and about the same length of time to get back home. And that’s if you’re willing to drive every day. With sightseeing and resting factored in, realistically, we’re talking about taking one month in each direction. Plus, at least one month RV’ing in Alaska itself. In other words, the entire summer. And again, this is not necessarily a con. If you enjoy a good road trip, you’re going to have the time of your life during that summer. Tried and tested. If you’re driving your own RV, then you’re saving on renting an RV and on flights. Your expenses will mostly be with gas or diesel, and maybe a bit on campgrounds on the way. How much should you expect to pay for gas, driving an RV to Alaska? This is where literally, your mileage may vary. We’ve explored the average RV mileage in this post. Based on that, a good average for an average-sized motorhome or 5th wheel is around 12 MPG. Let’s say your trip takes you over 8,000 miles in total (both ways), that’s about 670 gallons of gas (or diesel). According to the AAA website, in 2018 the price of a gallon of gas in the western states and Alaska (where most of your journey will be) was around $3 a gallon. It’s not any cheaper in Canada. That comes to roughly $2,000 for gas alone. And then there are maintenance and campground fees. Maintenance costs will vary based on your RV’s age and condition. You may think the cost shouldn’t be significantly higher, compared to spending the summer RV’ing in the Lower 48. For one thing, this kind of mileage puts a load on your rig that you probably wouldn’t be adding otherwise. For another thing, everything will be more expensive to fix once you leave the Lower 38. It can easily get to 2-3 times more than what you would pay back home. That’s just what prices are like up in the north. Generally speaking, campgrounds are also more expensive in Canada and Alaska. However, if you’re ok with going off the grid, it’s usually easier to do that out in the north. Assuming $50 a night for a campground, for 60 nights out of those three months, that’s a conservative estimate of $3,000. That’s probably my top item on the list of pros. The time you’ll spend getting to Alaska and returning, is going to be anything but dull. It’s a fantastic adventure where you get to experience that vast expanse of the Yukon and Northern British Columbia. If you find the thought of driving for four hours a day for weeks on end too harrowing, you can always opt to fly into Alaska and rent an RV there. This is even a more viable option for those who don’t own an RV. Instead of renting an RV in the Lower 48, you skip that stage, fly into Anchorage and rent one there. The clear benefit here is with saving time. You can get to Alaska within one day, rent an RV and spend three weeks sightseeing and taking in all of the best highlights. Once done, you just get your rental back to Anchorage, hop on a plane and get back home. You’ll still get the experience of RV camping in Alaska, just without the drive up there and back. While you will be saving thousands on not moving a huge RV up to the Last Frontier and back, you will need to pay for the RV rental. And renting anything in Alaska – just isn’t cheap. 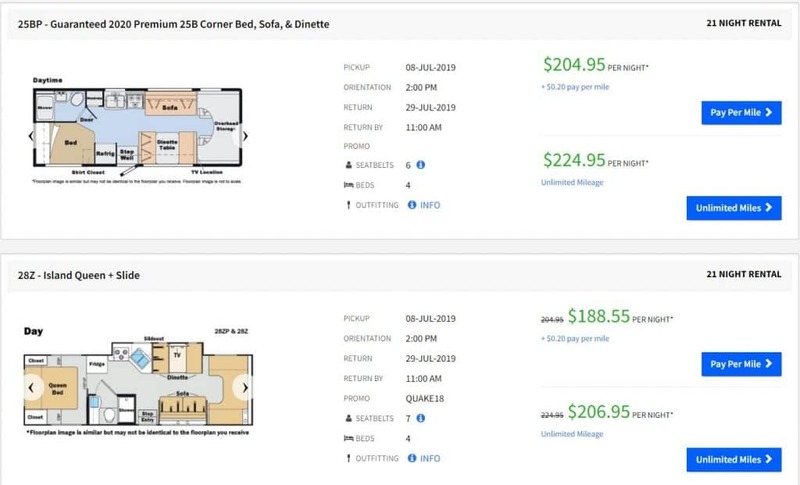 As you can see, an RV for four people will cost you at least $200 a day. And that’s if you reserve yours well in advance. If you wait for the last minute, the laws of supply and demand will dictate a much higher rate. For three weeks of RV camping, you’ll need to pay $4,200 just for renting the RV. The cost of gas will be significantly lower than it would be for driving to Alaska and back. In fact, I’m not going to include it here because once you’re in Alaska, it’s the same for both options. For campgrounds, you’ll pay about the same too. For three weeks, assuming at least two weeks in paid campgrounds and a week of boondocking, we’re looking at around $700. In my opinion, if you have your own RV and the time and inclination, definitely drive up to Alaska and back in your own rig. No two ways about it. In fact, if you have the time, inclination and funds, rent an RV in the Lower 48 and make a summer of it. However, if you don’t have three months to spare, or your own RV or a budget for renting one for three months, don’t give up on the dream. Camping in Alaska would be just as awesome if you fly over there, rent an RV and explore the state for three weeks. 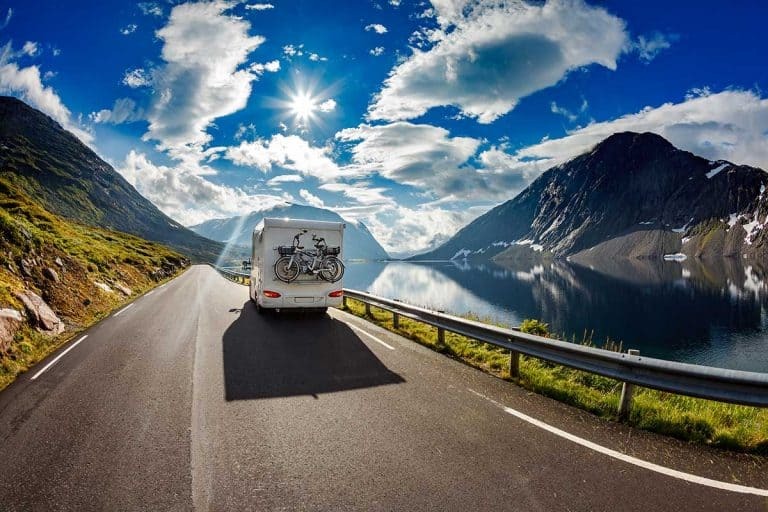 If you’re thinking of making the journey there and back in your own RV, it may help make things a little bit less daunting by joining an RV club. RV clubs are associations of like-minded RV owners. They usually have their own forums where each year people get together to drive up to Alaska and back as a group. While club membership costs a little bit of money, it’s really not a lot. And you get quite a few perks. The Good Sam Club is the country’s largest RV camping club and RV owners organization with more than 2 million members. For only $29 annual membership, you can already enjoy a 10-percent discount at more than 2,400 affiliated RV parks. You also get to have parts & service discounts as well as magazine subscriptions. We’ve featured them all later on in this post, so keep reading to learn more about these specific campgrounds. Dubbed as the original 50-percent discount camping club, you probably already have the idea about the benefits you can get from this club. Annual membership to the Passport America RV Club is $44 (or less if you become a member for longer). Finally, a recap of some useful tips that are true for any long RV trip, including one to Alaska. 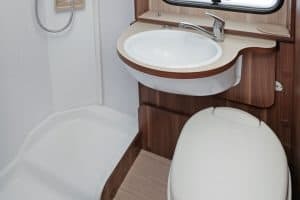 If you’re a seasoned RV’ers you probably know these but I thought I’d mention them for readers who are new to the game. Even the most experienced pilots still look at their pre-flight checklists before flying. What makes you think you can do better? Grab your little notebook and pen, or your smartphone and a note app, and start listing things. Check your coverage before the trip and see if you need to add roadside assistance. When RV’ing in Alaska, it could come in handy. 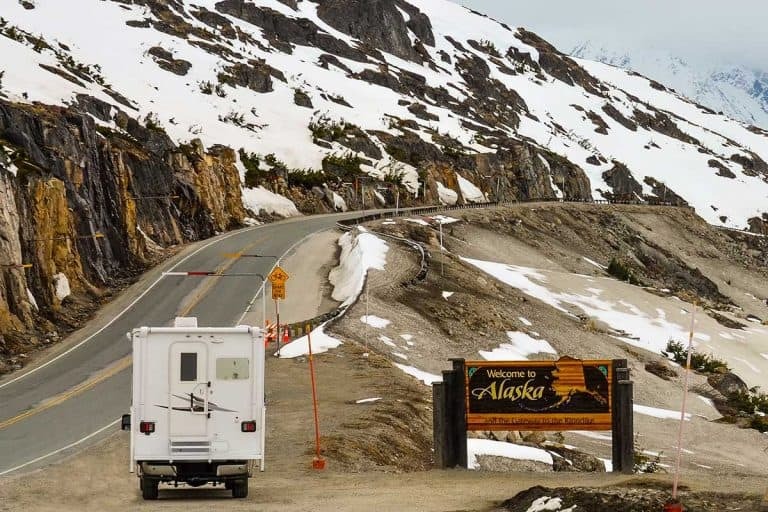 Just keep in mind that if you’re taking your RV from the Lower 48 to Alaska and back, you shouldn’t rely on road assistance on the way. At least not a fast service. Check with your service to see if they cover Canada, including the Alaska Highway. And keep in mind that along Northern Canada you’ll be out of cell reach for long sections of the road. In other words. Know your weight limits and make sure you’re not overloading. Weigh your rig once it’s fully loaded to make sure you’re within your weight limit. 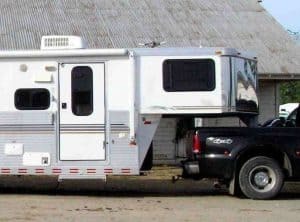 If you’re towing a 5th wheel, and especially a travel trailer, this is even more important. And if this is your first time traveling while towing, it’s probably best to take a shorter trip near home before attempting the Great Alaska Trip. Tire pressure affects both your gas mileage and your safety. You don’t want to experience a blowout, do you? Know your required tire pressure and check your tires regularly. It’s vital to take care of your tires as much as your personal belongings. Remember, your life depends on your RV. While you can rely on your smartphones, a Family Radio Service has a lot of applications. Aside from being handy in places with no signals, FRS is quicker and more ideal to use when communicating during backing or parking your RV. FRS comes highly useful when you are in a remote area – which you will be a lot if you’re driving to Alaska and back – and members of the family need to communicate. For instance, you’re out in the woods and you need to ask help from someone in the RV. This Bao Fang comes highly recommended. Do not guess. 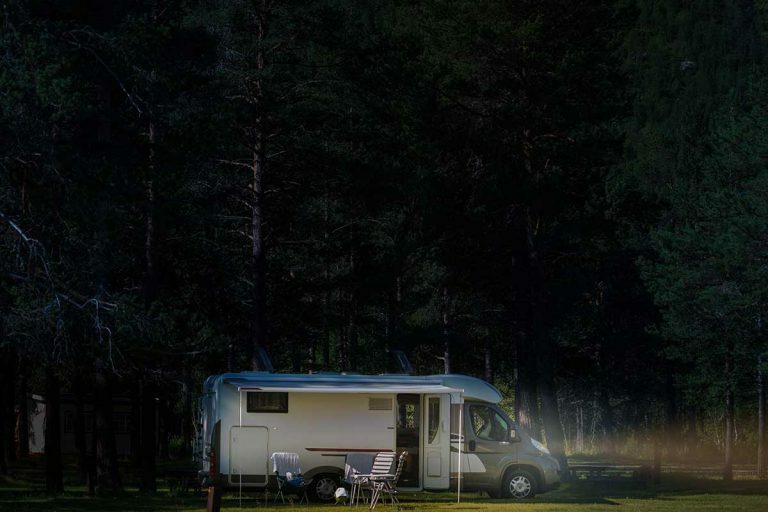 Evaluate your RV’s tallest point in the English system as well as the metric system. So you should know your RV height in both scales. Write it down in a prominent place next to the driver’s seat. If you’re used to drinking bottled water in your RV, consider investing in a good filtration system for your Alaska trip. While it’s possible to get bottled water in Alaska – and on the route to and from the state – it’s just more expensive. Investing in a good filtration system while still in the Lower 48 can really pay off. 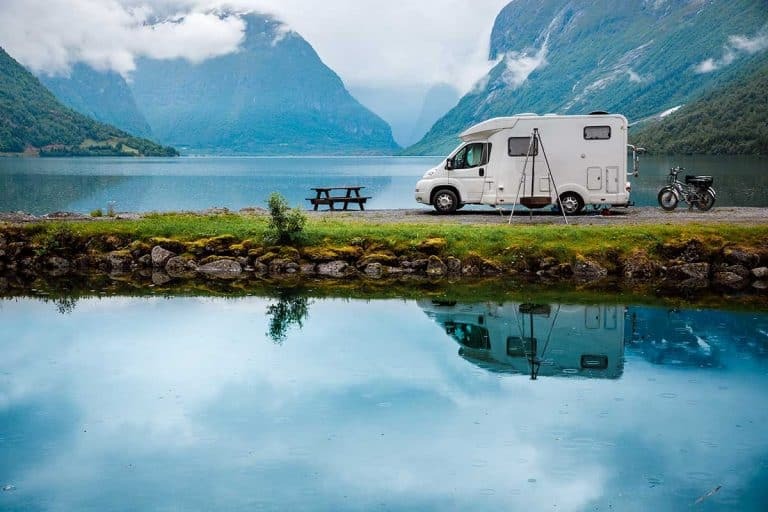 Read more: Is RV water safe to drink? You should always keep a few extra fuses in your cabinet. It’s almost inevitable to experience RV electrical malfunctions and you can easily fix some of them by replacing the fuse. Further, take note of the type and rating of fuses compatible with your RV as not all fuses are the same. They will be available while in Alaska, but not necessarily on the way there and it’s such a lightweight item, there’s no reason not to come prepared. Heat generation is the primary way for draining your battery quickly. And if you’re traveling during June or September, you’re bound to come across cool nights. They’re more than possible during July and August as well, depending on where you’ll camp and how sensitive to the cold you are. If you can bear the water temperature, then don’t run your propane all the time. You can also minimize the furnace at night; try using an extra blanket or maybe snuggle more with your loved one. It sounds pretty funny but body-to-body contact actually works in generating heat. And make sure you have a good generator if you’re planning on boondocking. You’ll need it. Alaska is an amazing RV destination. Going there in your RV or just renting an RV there is going to be so awesome. Take lots of photos, write about your trip and try to make the best memories possible!